The fig tree is one of the oldest plants to be cultivated. It originated in Asia and was later brought to the Mediterranean, where it gained fame as early as the Middle Ages. Nowadays, you can hardly imagine Mediterranean cuisine without figs. Depending on the variety, the fruit can reach a length between 4-cm/1.5-in to 8-cm/3-in and be round, drop-, or pear-shaped. The characteristically smooth skin can be green, yellow, red-brown, or purple. Even the flesh can vary in color from light pink to dark red shades. What’s your favorite recipe with figs? Tell us in the comments, and upload a picture of your creations for all to enjoy! Thanks to their natural sweetness, eating figs feels indulgent even though they are actually quite healthy. From vitamin A, which benefits the eyes, to Zink—which is good for hair and skin—a fig’s nutritional list reads a lot like a health encyclopedia. Other than vitamins, minerals, and trace elements, figs are also packed with fiber that keeps you full and regulates digestion. Figs are in season from August through October, which is harvest time around the Mediterranean Sea. Since they do ripen off-the-vine after harvest, they are often plucked just before they are fully ripe. To protect their delicate skin, they are often sold wrapped in tissue paper. To check for ripeness, it is best to press the fig gently. 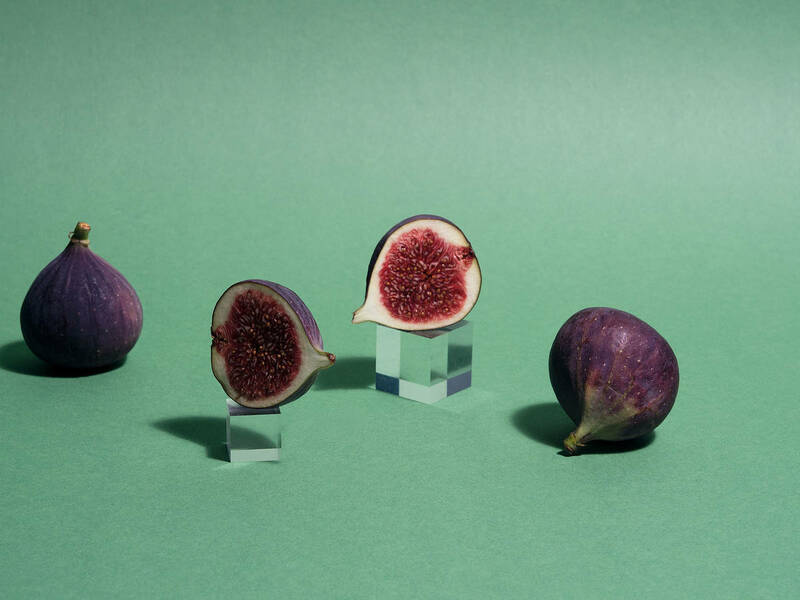 If it is soft but not squishy, has unblemished skin, and darker spots, you’ve found the perfect fig. A white veil over the skin, on the other hand, is a sign of over-ripeness and occurs when the fructose inside the fig crystalizes and comes to the surface. Unfortunately, figs don’t last very long. Figs that are stored at room temperature will only last for approximately one to two days. In the fridge, they will last longer, but will quickly lose their aroma. A fig’s skin can be eaten without worry.